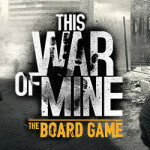 This War Of Mine: The Board Game has become a bestselling title due to its unique theme, open-and-play system enabling players to experience the game right after taking it out of the box, and its quality based on mature subjects of war and morality tackled in unprecedented ways. Now, over a year after its premiere, the first expansion Tales from the Ruined City was released by Galakta. 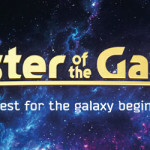 Read on to learn about its contents and how your gameplay will be affected once a player chooses to add the expansion to his or her collection. First of all, you need to know Tales from the Ruined City is based on a number of modules, each of which may be used during the game either in the campaign mode or when choosing one of the scenarios. 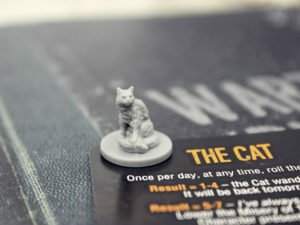 Some of the modules are rather straightforward and easy to incorporate into the base game, such as the 13th Character, Emira, whose personal scripts have already been included in This War Of Mine: The Board Game or the Cat, which can be used more freely now since it is represented both by a dedicated card and a miniature. The Cat, represented by its card and figure. Second, with the introduction of the Desperate Measures module, you can affect the difficulty level of each game, as the cards featured in this module give you certain bonuses whenever one of the Characters in your group is removed from the game. Additionally, you will be happy to hear the expansion includes new Chapter Objective cards to make your experience even more varied. However, Tales from the Ruined City truly shines when it comes to its three largest modules: the Sewers, the Farmers with its Market section, and the Incidents comprised of 5 new Scenarios, each full of new rules and unique game content. Sewers. one of the three largest modules, uses many cards representing Corridors and Rooms. The Sewers is a massive module utilizing many cards representing Corridors and Rooms, forming an underground network of canals, utility tunnels, and old basements hidden in the bowels of Pogoren. When you choose to descend into this place, you can stop worrying about snipers, but the sewers come with their own set of dangers. 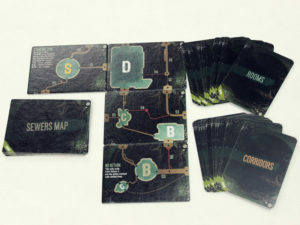 As you walk through this dark maze represented by the Sewers Map tiles, you encounter different obstacles, unique strangers, and dramatic stories of outcasts. With over 230 new scripts of gripping narrative and moral choices, you can be sure every time you enter the sewers, you will return changed. 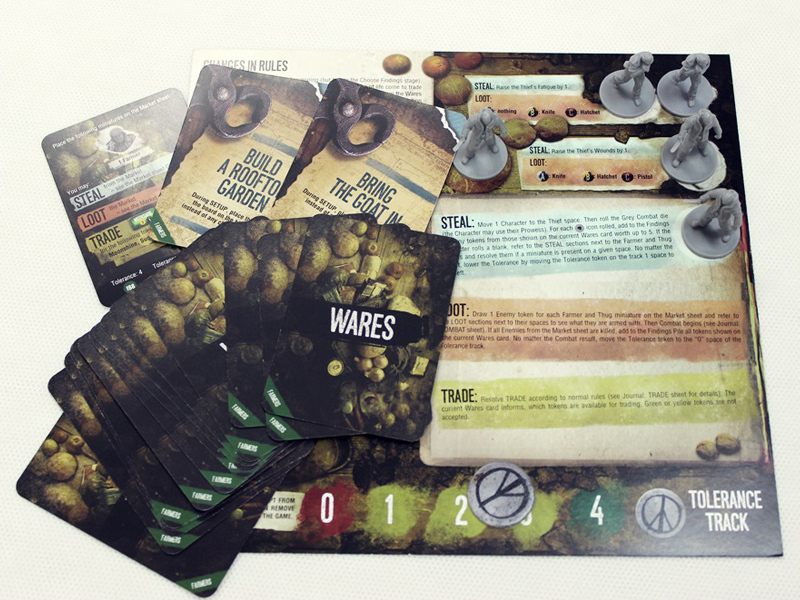 The Farmers module contains a set of new rules connected with the Market sheet and Wares cards. As many newcomers from the ravaged countryside come to the city, they bring food, tales of atrocities, and a chance for your group to interact with them on a completely new social level. Whenever you return from the Scavenging, you may visit the Market to trade… or to engage in more illicit activities. What is most important – each decision you make at the Market affects the Tolerance track and might trigger one of over 180 new scripts. 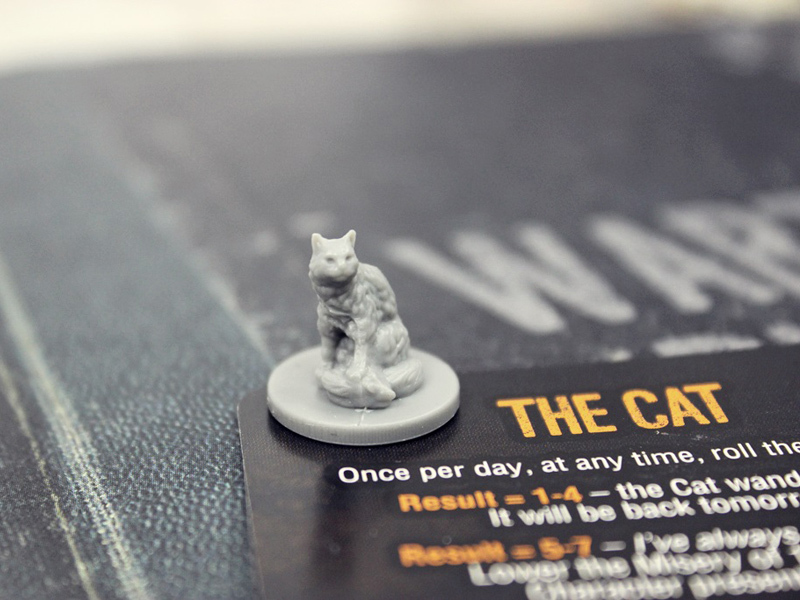 As you will soon learn, from now on, the world around you will actively react to your deeds in ways not seen before in This War Of Mine: The Board Game. Farmers module presents new rules connected with the Market sheet and Wares cards. Finally, the Incidents module offers 5 new Scenarios, instead of a standard campaign. Although there were 2 Scenarios included in This War Of Mine: The Board Game, Tales from the Ruined City takes this idea to a wholly different level, with each Scenario featuring a unique theme and a special set of elements, such as sheets, cards, tokens, and even “legacy” envelopes containing rewards for winning a given Scenario. No matter whether you choose a tale of a horrible epidemic decimating the citizens of Pogoren, a crime story about a stabbing in your Shelter, or a Shakespearean drama about a pair of lovers trying to survive the siege, you will immerse yourself in the narrative to the utmost. To sum up, we believe the Tales from the Ruined City expansion will bring you much enjoyment and will make your This War Of Mine: The Board Game experience even more rewarding. 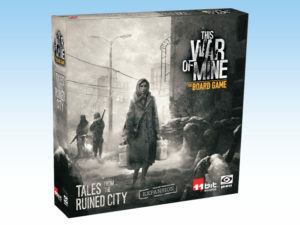 Text by Marek Mydel, project manager for the "This War of Mine: The Board Game" line at Galakta and a seasoned gamer and designer, who was part of the team developing the "Tales from the Ruined City" expansion. This article was originally published by Game Trade Magazine - issue #223, September 2018.